Bell Elkins is the prosecuting attorney for Raythune County, deep in the Appalachian mountains of West Virginia. A native of Acker’s Gap, she grew up in a series of foster homes but escaped to Washington DC before returning to the poverty-stricken area, blighted by a growing drugs problems, bringing her daughter, Carla, in tow. Carla, who has turned into a surly, resentful teenager is waiting in a diner for her mother when a gunman enters and shoots dead three elderly men. Sheriff Nick Fogelsong and his team start to investigate, with Bell tagging along seeking evidence that will enable a successful prosecution once the killer is caught. But Bell’s attention is being diverted by the well-being of her daughter, another case that is coming to trial, and the upcoming parole hearing for her sister. Unwittingly, however, she has become the target of the killer’s ire. 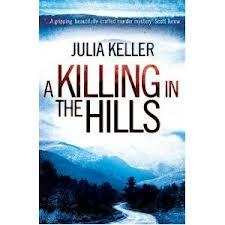 A Killing in the Hills has a number of strengths: a strong and vivid sense of place; good contextualisation with respect to society in West Virginia and the problem of prescription drugs addiction; and an interesting pair of lead characters in Bell and Nick. These are countered by some notable weaknesses: a tendency to melodrama, often too much tell rather than show, and credibility with respect to the main plotline. With respect to the latter, I just simply didn’t believe certain elements of the story such as Bell’s daughter not telling the police what she knows for fear of being grounded; that Bell’s sister was still in prison given the circumstances underpinning her crime, nor that her sister, a lawyer, had not tried to get her out; the resolution with killer (who was little more than a caricature) made little sense to me, nor did the ‘criminal mastermind’ behind the whole episode. In contrast, the plotline with respect to the child’s death was very nicely done. In sum, whilst the story had its merits it gradually became less and less plausible and I became more and more disengaged. 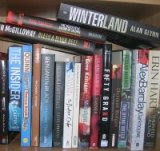 Overall then, Bell and Acker’s Gap have quite a bit of promise, but I found this initial outing hard going at times.